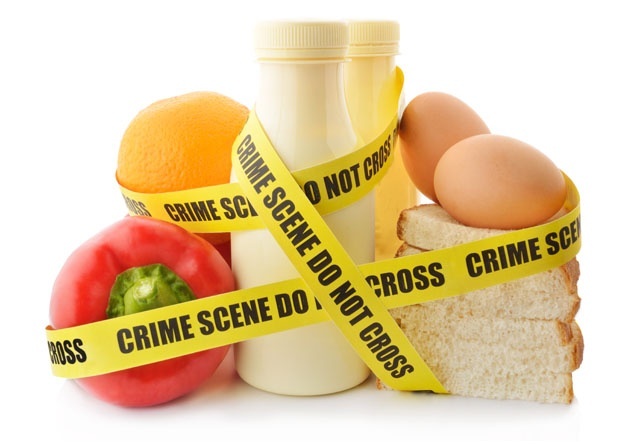 The rise in contaminated food products could be a sign of the increased levels of food safety monitoring, but it could also be food processing mistakes occurring more frequently, either way it causes concern for manufacturers and consumers. In the world of Fast Moving Consumer Goods, brand image is everything. For the food industry, competition is fierce and the quality associated with a brand is critical to a company’s success. With consumer’s instant access to social media, the potential for a brand’s reputation being ruined can now be done in seconds. These figures are a sharp reminder of the importance in understanding the rubber materials that seal processing equipment. Rubber O-rings and seals are used throughout food processing lines, in equipment such as tanks, blenders, mixers, grinders, kettles, dryers, filters, dosers/dispensers and pipe couplings, to name a few. Their role is to create a barrier which will contain fluid, gas or produce, preventing leakage into unwanted areas. Over time, repeated mechanical operation can damage rubber seals and fragments can break off, resulting in product contamination. Poor installation can also lead to seals becoming trapped or dislodged. Regular maintenance cycles can help reduce the risk to a degree, but to reduce the risk further metal detectable rubber seals can provide extra security and peace of mind. In the UK, last year there have be product recalls from Lidl, Tesco and Sainsburys for yogurt and pasta products, plus Oatibix Flakes from Weetabix. There have also been cases reported relating to Walkers Crisps, Maltesers, Country Life Spread and Mr Kipling mince pies (source Food Standards Agency). This shows that rubber contamination can occur in various food processing disciplines including ready meals, dairy, bakery and confectionery, no area is immune. Detectaseal is the name given to a range of FDA compliant, metal detectable elastomer materials designed to help manufacturers reduce the risk of rubber seal contamination during food processing. Developed by Precision Polymer Engineering (PPE), Detectaseal fragments as small as 2mm can be identified by conventional, in-line, metal detection and X-ray equipment, ensuring early warning of rubber contamination. Standard and non-standard sized O-rings, gaskets and custom shaped seals can be moulded from Detectaseal materials which include EPDM, nitrile (NBR) and fluorocarbon (FKM) and silicone (VMQ) grades, in blue and black, for use in food processing equipment. Equipment manufacturers can select the most appropriate elastomer for their application considering temperature, chemical and physical performance criteria. Need help? Contact our food and dairy sealing experts to discuss your requirements.